The EV-7 was designed using technology from the HLV-5 lander in order to bring a modular capability to distant, long-term interplanetary expeditions. 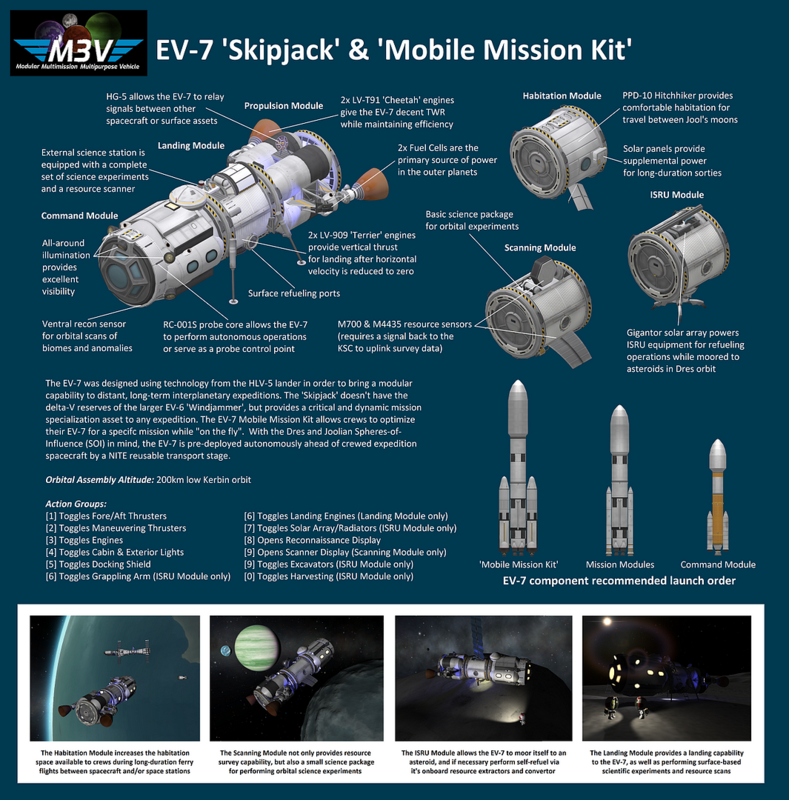 The ‘Skipjack’ doesn’t have the delta-V reserves of the larger EV-6 ‘Windjammer’, but provides a critical and dynamic mission specialization asset to any expedition. 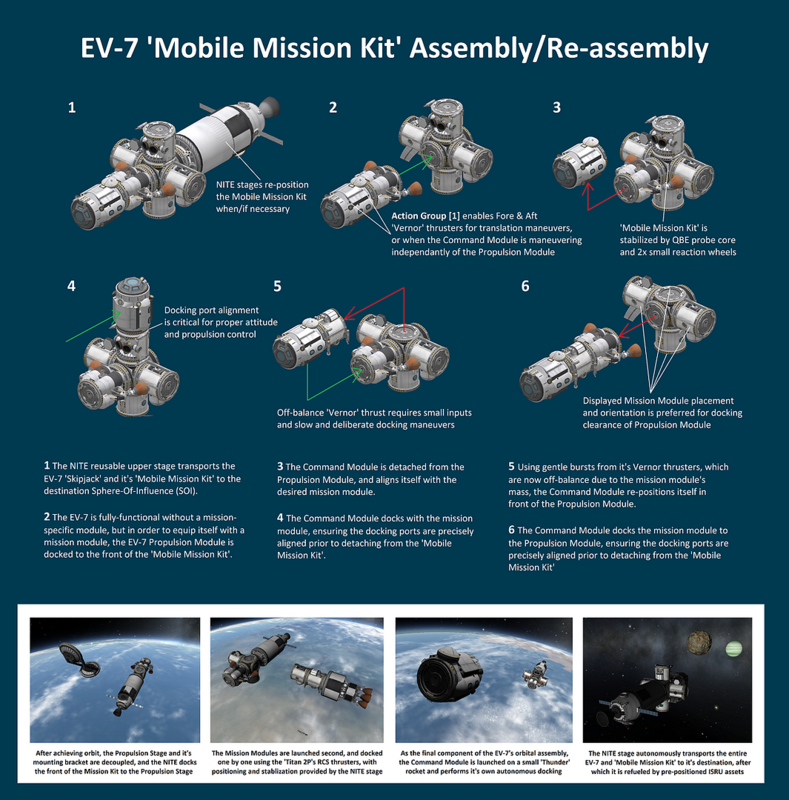 The EV-7 Mobile Mission Kit allows crews to optimize their EV-7 for a specifc mission while on the fly . With the Dres and Joolian Spheres-of-Influence (SOI) in mind, the EV-7 is pre-deployed autonomously ahead of the crewed expedition spacecraft by a NITE reusable transport stage.